Long time no see, readers! Sorry for being absent for the past two~three weeks. It was exam season and I was working hard, but now I’m back and ready to roll again! I was replying to tweets by readers on the Konni Kim Designs twitter page, when I came across some photos of Ms. Dalton’s artwork. 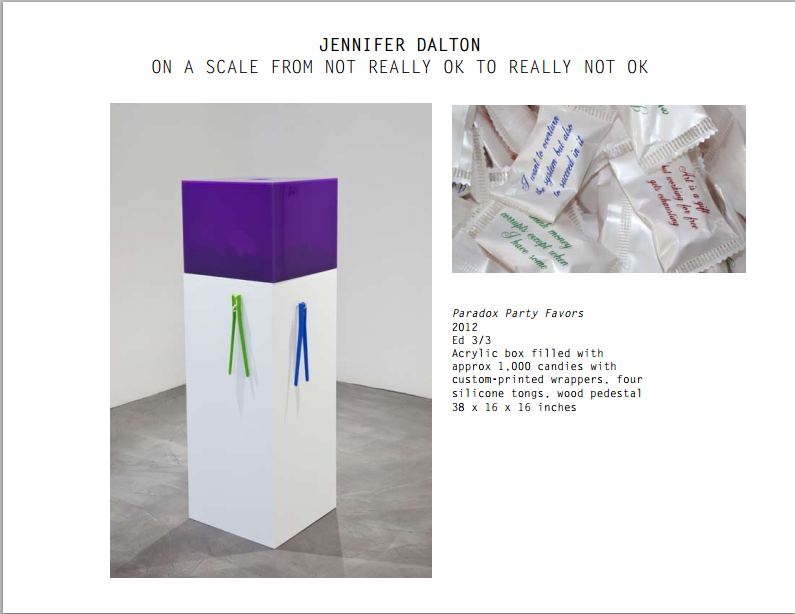 It’s not very often that a piece of artwork catches my eye at first glance, but Ms. Dalton’s pieces instantly triggered a rush of personal emotions, as the way she expressed her insights on society made it very easy to sympathize and consequently understand the artwork in depth. I decided to ask her if I could interview her not only because I had fallen in love with her artwork but also because I wanted to hear about her viewpoint on different aspects of art, especially since she has expertise and talent in the field of art. 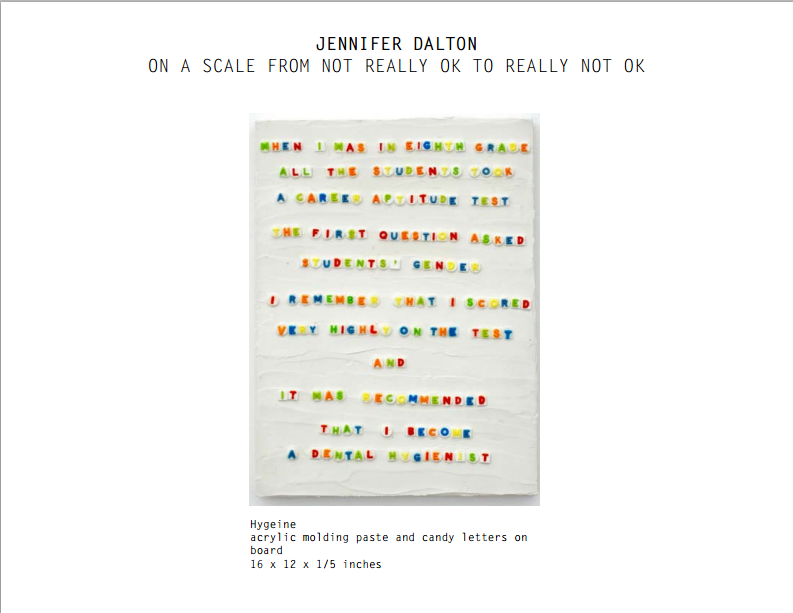 Fortunately Ms. Dalton was happy to talk to me about her thoughts on life and art! Scroll down to read the insightful interview. 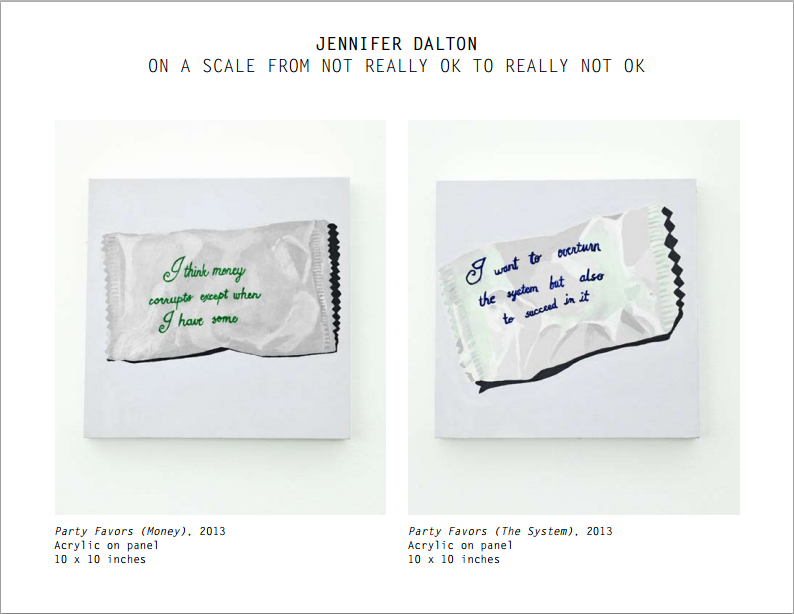 Enough talk from me-get to know talented artist Jennifer Dalton through the one-on-one interview that I did with her. K: When was the moment that you first felt you wanted to become an artist? J: I always drew as a kid but I don’t think I saw it as a possibility to be an artist until I was in college and I took art classes and met grownup artist/art professors. K: Were your parents supportive of your decision to become an artist? J: They have always been very supportive! They come to my shows whenever they can. K: What type of art form do you disapprove of? J: I don’t disapprove of any art forms. Of course there is art I don’t like, but there isn’t a whole art form I think is bad. K: I love all your artwork, but your ‘Hi, I Like You’ piece caught my eye in particular. What were you meaning to convey through the backpacks? J: That piece is a recreation of a backpack I asked my mom to make me when I was a kid. It was during the iron-on letter craze of the early 1980s and I asked my mom to make me a backpack that said “Hi I Like You.” I wore it to the first day of 4th grade but everyone made fun of me so I wanted to get rid of it immediately. Now as an adult I wanted to recover it. K: Do you have to try and think really hard to create art or does it just come to you? J: Sometimes the ideas just come but I have to work and think really hard to make them come to life in the best way. K: Who should judge art, if anyone? J: Everyone should judge art! It is supposed to be for everyone. I would like for more people to feel they were allowed to judge art. K: What would you have become if you hadn’t become an artist? J: Either a writer or a sociologist maybe? I love writing, and I love studying people and how weird they/we are. K: Most musicians seem to have a certain ‘muse’ that inspires them to write songs. It could be a girl/boyfriend, a book, or even a place. Do most artists have a ‘muse’? Do you? J: No, I don’t have any one “muse.” But many times my work starts with a thought that is something like “Is it just me or is [this or that thing] really that [crazy/stupid/interesting/surprising]?” And then I have to investigate and it might turn into something good. K: Is art closer to reality or unreality/dreaminess/fiction/surreality? K: Which city is the best place to be an artist in? J: Impossible to say. I love being in New York because so many other artists are working here. But it’s a difficult place to make a living/life. K: What was your most memorable exhibition? J: I really can’t say. I love them all for different reasons. Each of my solo exhibitions has been an expression of where I was in that moment. K: Do you think I’m an artist? J: I don’t know but my guess is yes. K: Honestly, what came to mind when you recieved an email from a random South Korean 17 year old fashion/art blogger? J: I was super impressed. I’m also impressed with your questions! K: Does pain create good art? Between A) a person that grew up in poverty, hunger, and pain, and B) a person that was raised in a healthy, wealthy, happy environment -who would be the better artist? J: Impossible to say! Depends on the individual people and circumstances. Sometimes people can channel pain or difficulty into art but sometimes they are beaten down by it too much. K: What’s an annoying stereotype that people tend to have against artists? J: There are probably a lot. People think artists are weirder and more immature than non-artists. Most artists I know are fairly normal well-adjusted people. K: What would you tell parents that strongly oppose the idea of their child becoming an artist because they think it won’t give their children an economically sustainable life? J: If you want to be an artist you usually have to find another way to sustain yourself economically. I would tell a parent to help their kid find a good way to earn a living so they can pursue their dream of being an artist from an economically secure place. K: What is the difference between a young artist and an older, more experienced one? J: Just time. There are fewer older artists because many younger artists give up after not finding instant success. Don’t give up! Aaand that’s a wrap! I’d like to say a huge thank you to Ms. Dalton and Mr. James for making this interview possible. This was truly a meaningful experience for me and I learned a lot through Ms. Dalton’s answers about her views on art! Image Credits: all images are from the pdf catalog of Jennifer Dalton and the Charlie James Gallery. Awesome interview! Great that you went out on a limb and asked for it. 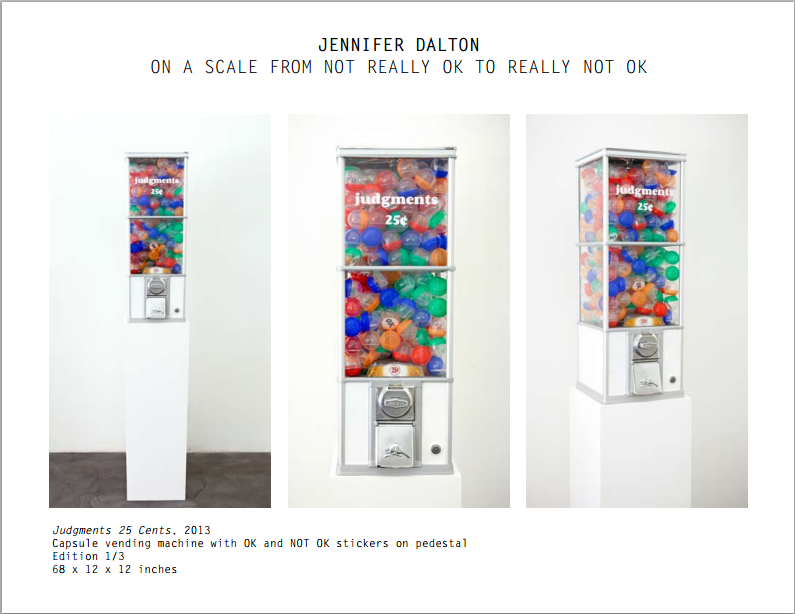 Her art is hilarious – and thought-provoking.